You really haven’t experienced Vicenza, much less its regional matriarch — the Veneto in northeastern Italy — until you’ve sat down at the table and enjoyed a traditional pasta dish of BIGOLI (BEE-goh-lee) in some fashion. 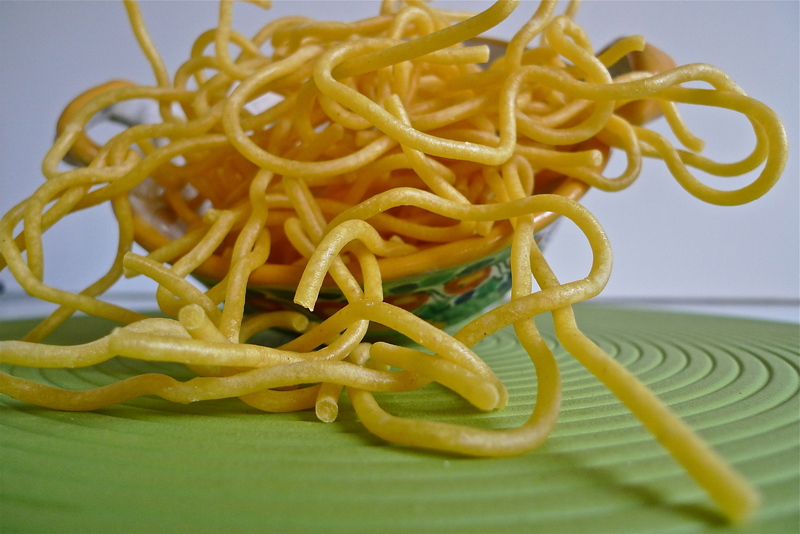 These moist, thick, lengthy strands of pasta noodles — made with eggs and whole-wheat flour — are one of the culinary cornerstones that define Vicenza, its province and the Greater Veneto region. It’s not the only star of the kitchen, but it’s one of the most popular. Bigoli ranks right up there with minestre (soups), risotto (rice dishes), polenta (cornmeal) and baccalà (salted, dried codfish) as the crown jewels of the tried-and-true, traditional kitchen of the Veneto. 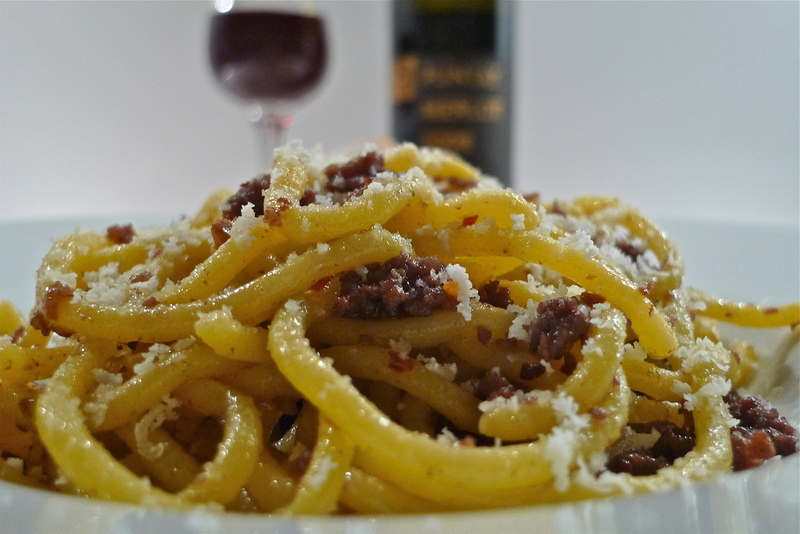 Vicenza’s preferred pasta is topped with a variety of different sauces, including: l’anitra (duck meat), ragu’ alla bolognese (meat, pork or a mixture of both in tomato sauce), salsa (anchovies and onions) and TASTASALE (minced and seasoned pork meat). 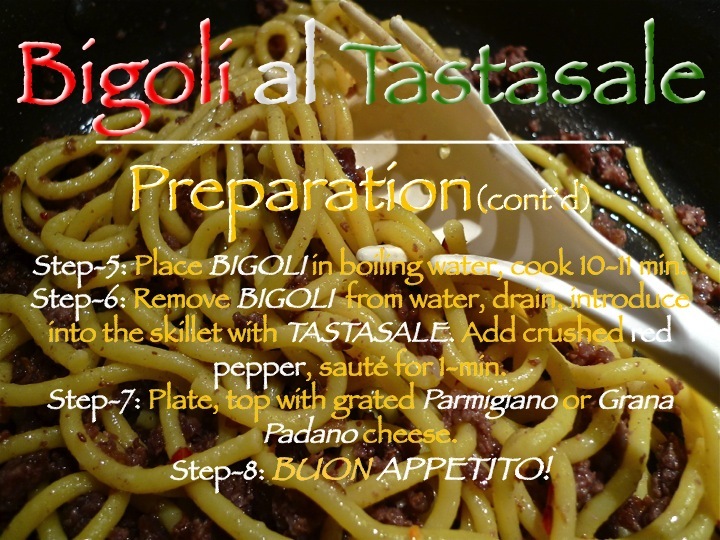 For this recipe, I’ve selected tastasale to compliment our bigoli, and we’ll plate this stellar primo piatto (first course) in under 30-minutes, or YOU DON’T PAY! Before we head into the galley, let’s go inside the tastasale. 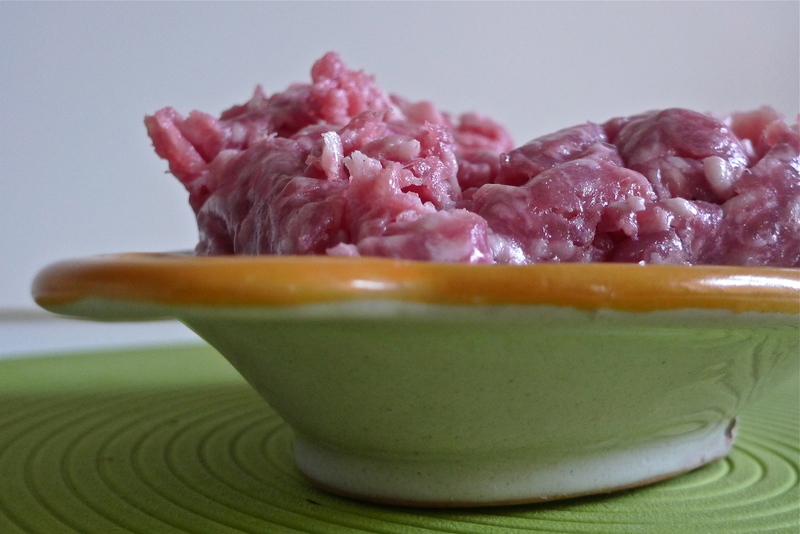 In the late fall-early winter all across Italy, when all those little piggies go to the market — the lucky ones get to stay home — the freshly minced and seasoned pork that goes into sausage making is sometimes set aside and sold in packets, much like hamburger meat, for use in meat sauces — ragu‘ — to go into a risotto or over pasta, like our bigoli. That style of rice or pasta dish is called al tastasale: risotto al tastasale, bigoli al tastasale, etc. 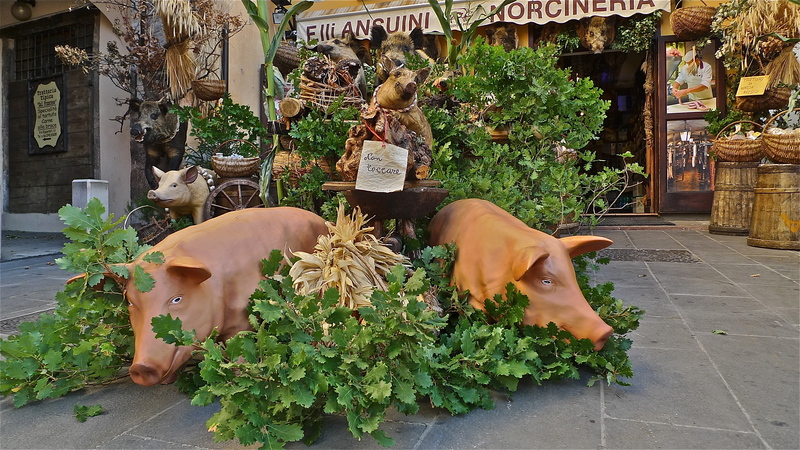 A butcher who specializes in pork-only products around the Veneto is known as a masciaro — I should know as I married the butcher’s daughter! When preparing the fresh pork for processing into sausage or tastasale, the masciaro minces the pork and adds various herbs and spices to make each run slightly different from the previous lots and the ones to follow. Some sausages might be spicy, some sweet, some aromatic, etc. In all the sausage runs, salt is always added regardless of the herb-spice combination, because salt contributes to flavor and firmness, and retains the juiciness and water content of the pork during cooking. 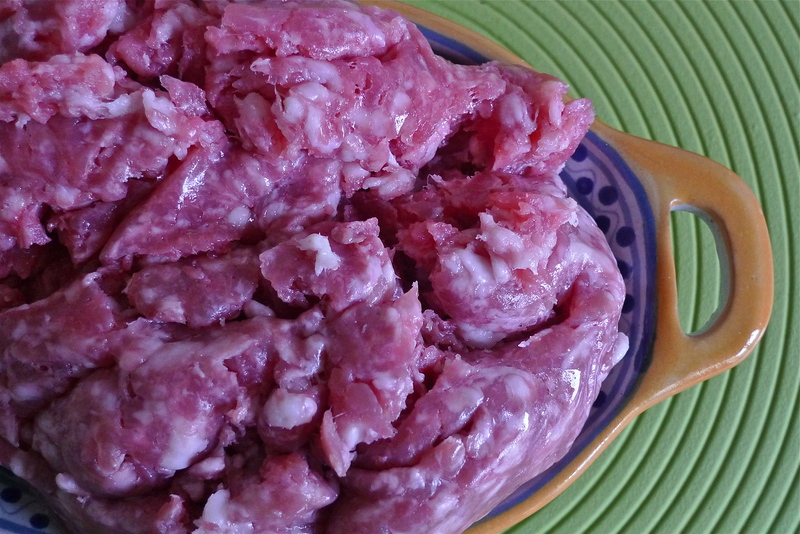 Roughly 2% of the minced sausage mixture should be salt, with a maximum somewhere between 4-5% per 100 grams. 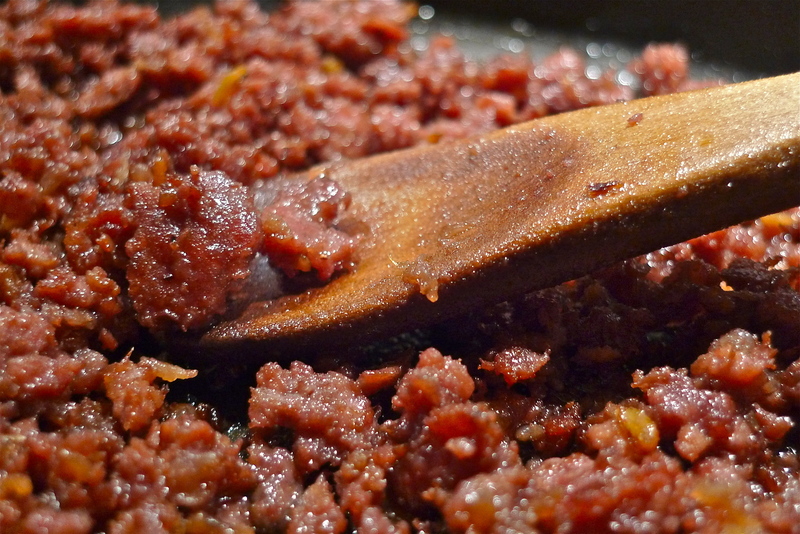 An amount above the 5% limit would make the minced pork too salty. To guard against adding too much salt, the masciari are constantly checking the mixtures. Someone along the preperation process will be yelling out to someone else, TASTA SALE! 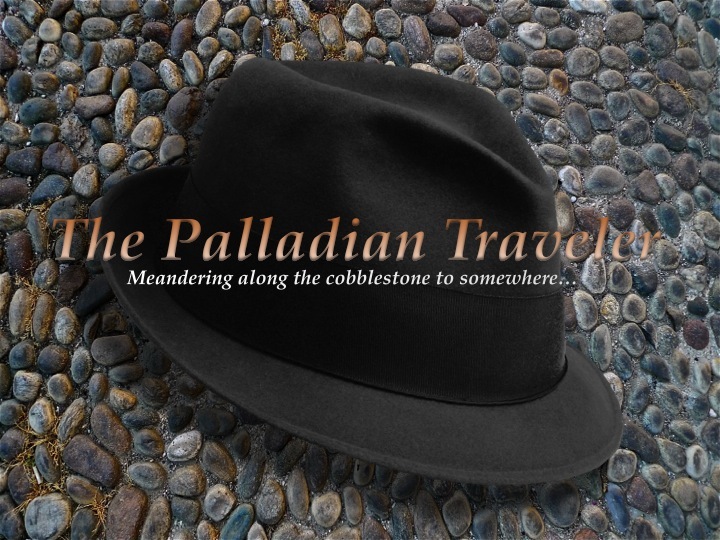 It’s from the Italian verb tastare — literally, to feel, examine, test — and the noun sale — salt. So, tasta sale means to check the pork mixture to make sure just right amount of salt is in there. 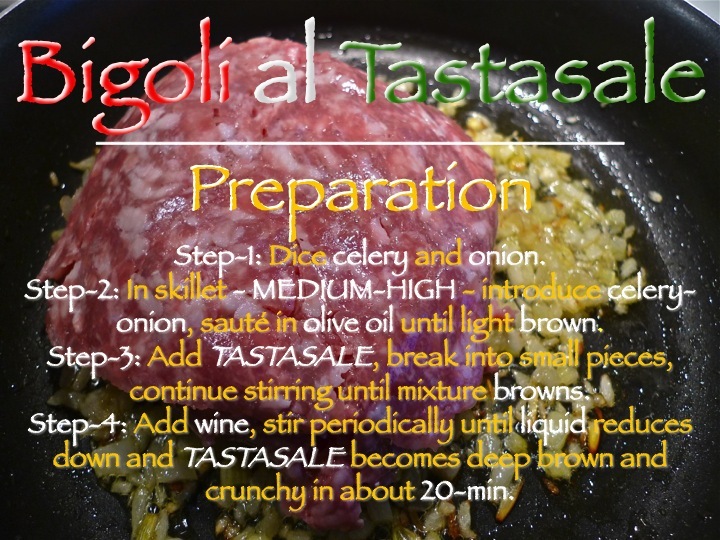 Put the two words together — TASTA and SALE — and, Voila!, TASTASALE. Now, let’s grab a couple of aprons, throw a handful of salt over our shoulders and head into the galley and get this show underway. 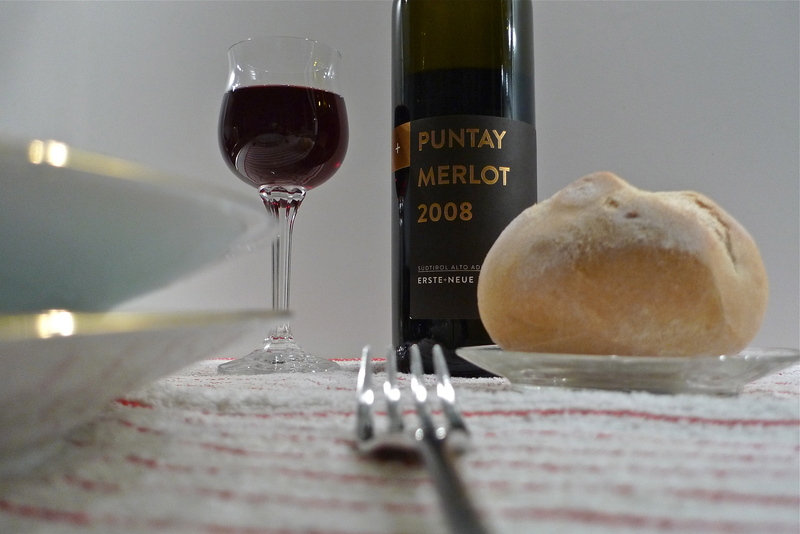 Recommended Wine Pairing: Puntay Merlot Reserva DOC (2008), Erste + Neue, Caldaro (BZ), Italy. In the mid 1900s, two vineyards, Erste (first) and Neue (new), joined forces to form Erste + Neue, a highly respected co-operative, overseeing 430 area vineyards and managing their wine economy and trade. 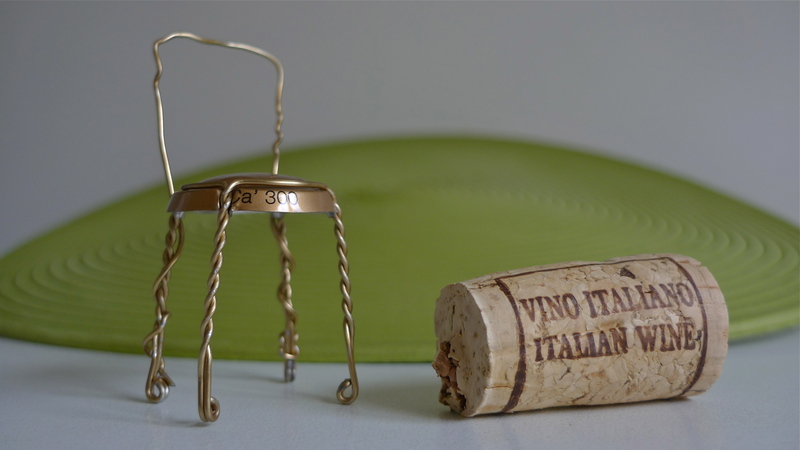 E+N sits along the prestigious Strada del Vino (Road of Wine) and its picturesque namesake lake (Lago di Caldara) in the Alto Adige (South Tyrol) of northern Italy. 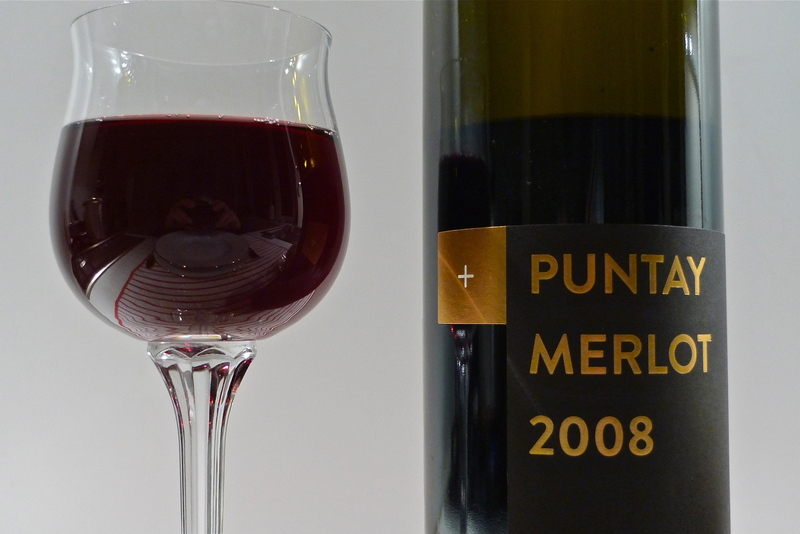 Puntay Merlot Reserva DOC (2008) is an intense garnet red (14% alcohol) that overflows with fragrances of blackberries and black cherries with soft touches of vanilla. This delicious dry red has well-defined tannins and a long-lasting finish. 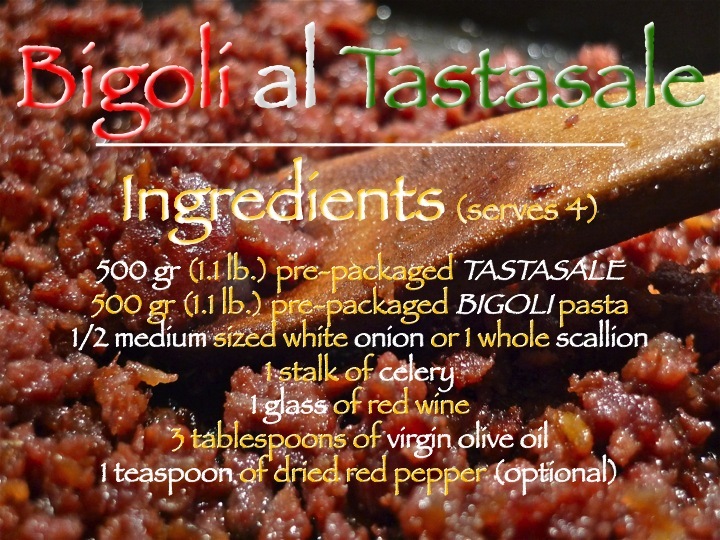 It pairs perfectly with roasted meats, aged cheeses and pastas in heavy meat sauces, like Bigoli al Tastasale.